Last week, I reviewed Titus Andronicus’ epic The Most Lamentable Tragedy. 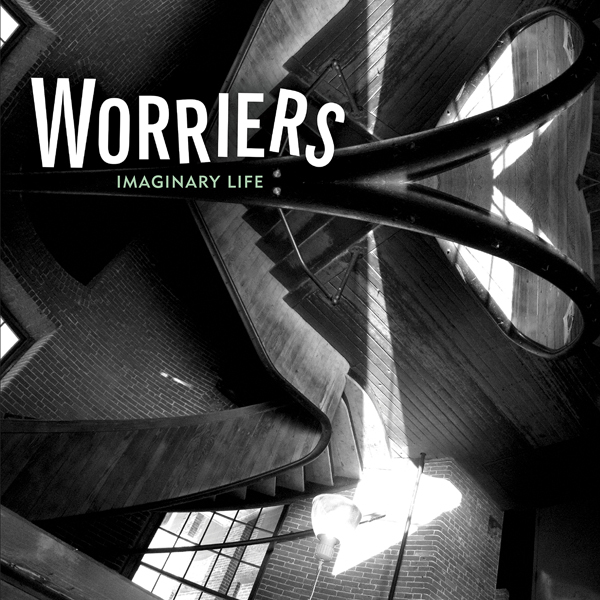 On the other side of the time spectrum is Worriers’ Imaginary Life. Clocking in at just a little over 28 minutes, Worriers address themes of success, love, and self-actualization with a bit of wit, spite, and hope. Similar to current Don Giovanni label-mates Screaming Females, this Brooklyn-based punk band packs a punch. Fronted by the strong vocals of Lauren Denitzio, the band is a revolving cast of characters including Mikey Erg, Rachel Rubino, Audrey Zee Whitesides, John McClane, and Lou Hanman (according to their bandcamp). The influence of producer Laura Jane Grace is felt throughout Imaginary Life. The vocal style is monotone with moments of emotion only when required. Songs are melodic and give the appearance of certainty while expressing anxiety. Choruses are jaunty, while touching on life’s major struggles. The tempo and arrangement of “Parts” is quite similar to that of Against Me!’s “Transgender Dysphoria Blues” (from 2014’s Transgender Dysphoria Blues). As one might expect, there is a lot of angst in Worriers. In “Unwritten,” Denitzio sings “Actions speak louder than all the rest.” In “They/ Them/ Theirs,” a conflict arises between speaking up or fitting in. She sings, “We’re are fighting between a rock and ‘why bother’.” Sometimes it is hard to know what to do and who to be. The band is just looking for some sort of hint. “Good Luck” is a scathing and bitter track. Supportive harmonies (like supportive friends) come in during the lyric “Not gonna lie…I hope you hate New England.” It is easy to relate to that sort of truthful judgement. Overall, the album is full of fresh and punchy tracks. The songwriting style and musical arrangements are accessible. This album is another great release from Don Giovanni and the band is definitely one to watch.